Make this project just in time for Valentine's Day! Cut two heart-shapes from chipboard, one slightly smaller than the other. Trace both heart-shapes onto paper from Meet Me in Paris Stack. Cut two of each size heart form the paper. Cut four 2-inch strips from another Meet Me in Paris paper. Adhere 2 sets of strips together to make two long strips. Score and fold each strip at ¼ inch along the entire length of the strips. Cut ¼ inch slits along the edge to the fold line creating small tabs. Line up the fold line on the strips with the edge of the heart-shapes. Adhere one strip to the small heart and the other strip to the large heart by bending the tabs over the top surface of each heart and adhering in place. Adhere the paper-heart shapes from step 2 to the front and back of each heart. 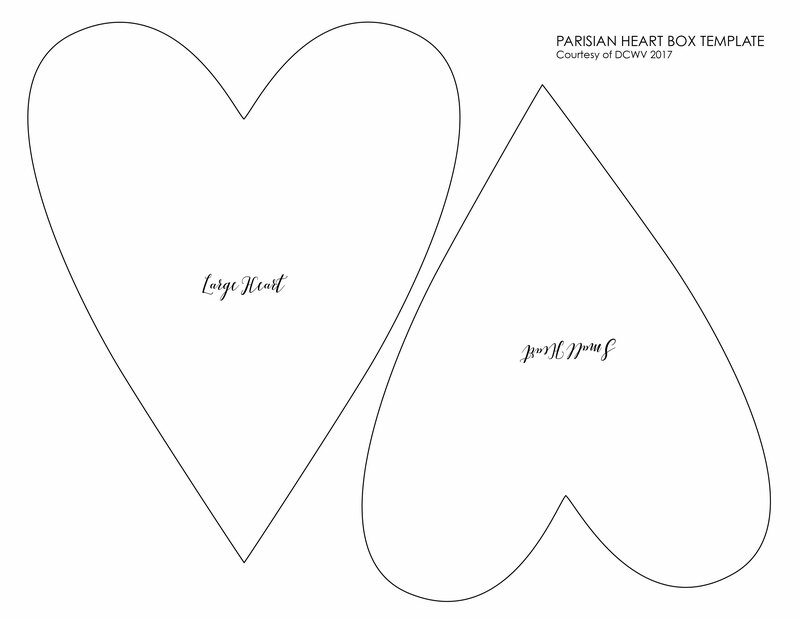 The small heart should fit inside the large heart creating a finished box. 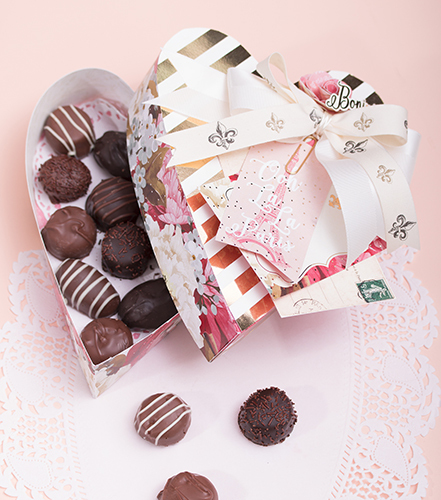 Embellish the heart box with tags cut from the Meet Me in Paris Stack, rolled paper flowers, ribbon, or embellishment of your choice. This fabulous project is great when you want to give a homemade gift for Valentine's Day or a wedding anniversary!